Liz Ridgway was born in 1964 in Sutton Coldfield, Birmingham. Her early art training in drawing and painting came from her father, who was an established artist. 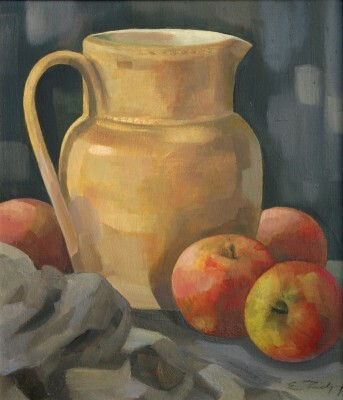 Later Ridgway studied at Sutton Coldfield College of Art and in 1986 Liz graduated from Cambridgeshire College of Arts in Art History and Fine Art. 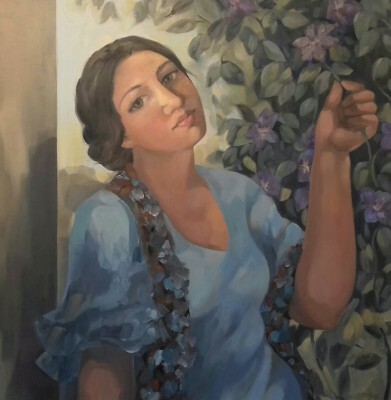 Liz Ridgway takes her inspiration from a range of sources, from 1930s Picasso, the pre-Raphaelites and the paintings she grew up with in Birmingham, especially the work of British artist Joseph Southall whose art work fills the walls of Birmingham Museum and Art Gallery. Ridgeway aims for a simplicity of composition in her figurative contemporary paintings highlighting the play between the human presence and the flat patterning of the elements around them. She is particularly interested in showing the vulnerability and dignity that coexist in the human face. At times her paintings have a contemplative quality. Art prizes won by Liz Ridgway include the Tabernacle Art Prize, awarded by the Museum of Modern Art Wales in 1997. 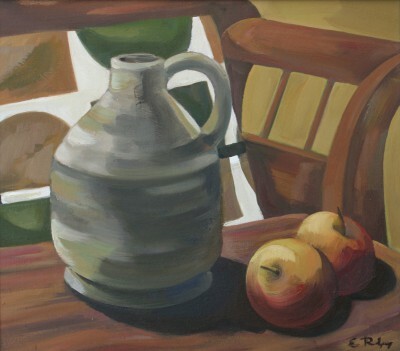 She was elected a full member of the Royal Birmingham Society of Artists in 2001. In addition to Red Rag British Art Gallery Liz Ridgway art work has been exhibited at other leading British Art Galleries including the Mall Galleries in London. Each painting at Red Rag is sourced from the Liz Ridgway artist studio and like all Red Rag British art and Contemporary art it can be shipped worldwide.